We've rounded up the latest rental listings via rental site Zumper to get a sense of what to expect when it comes to finding a place in Philadelphia if you're on a budget of $1,700/month. Here's a one-bedroom, one-and-a-half-bathroom apartment at 1706 N. Second St. that's going for $1,700/month. In the unit, you'll get hardwood flooring, central air conditioning, a dishwasher and in-unit laundry. The building features garage parking, a swimming pool and a roof deck. Cats and dogs are not welcome. Listed at $1,695/month, this 650-square-foot one-bedroom, one-bathroom condo is located at 924 Pine St., #2R. In the renovated unit, you can anticipate hardwood floors, a fireplace, in-unit laundry and stainless steel appliances. Cats and dogs are not permitted. There isn't a leasing fee associated with this rental, but there is a $500 security deposit. Next, there's this one-bedroom, one-bathroom condo over at 2121 Market St., #518. It's also listed for $1,695/month for its 730 square feet of space. The apartment boasts high ceilings, hardwood flooring and lots of closet space. Building amenities include on-site laundry, outdoor space, a fitness center and a business center. Cats and dogs are not welcome. There isn't a leasing fee associated with this rental, but there is a $500 security deposit. Here's a 600-square-foot one-bedroom, one-bathroom townhouse at 2162 E. Norris St., #201 that's going for $1,695/month. The building boasts a roof deck and optional parking. Apartment amenities include hardwood floors, a balcony, stainless steel appliances and in-unit laundry. Cats and dogs are not allowed. The rental doesn't require a leasing fee. Finally, check out this 704-square-foot one-bedroom, one-bathroom condo that's located at 214 W. Thompson St., #B408. It's listed for $1,695/month. 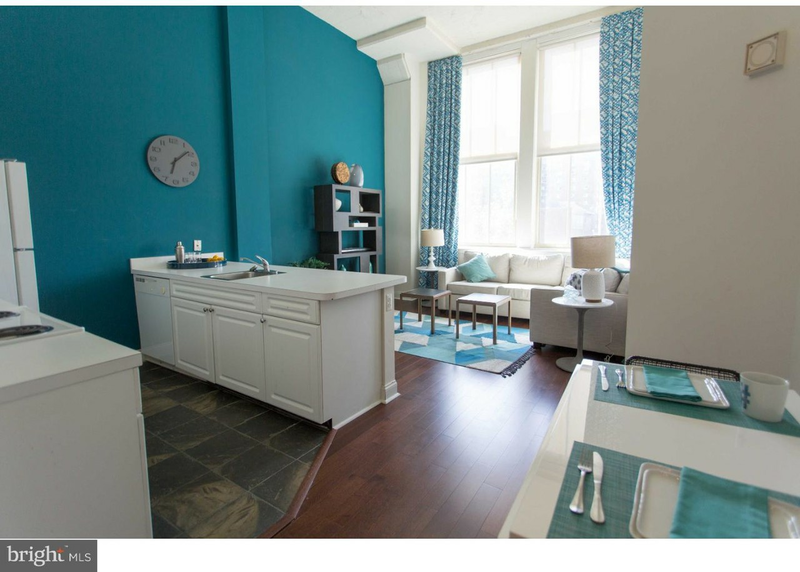 In the unit, you'll have hardwood floors, a balcony, stainless steel appliances and in-unit laundry. Pets are not welcome. There's no leasing fee required for this rental.